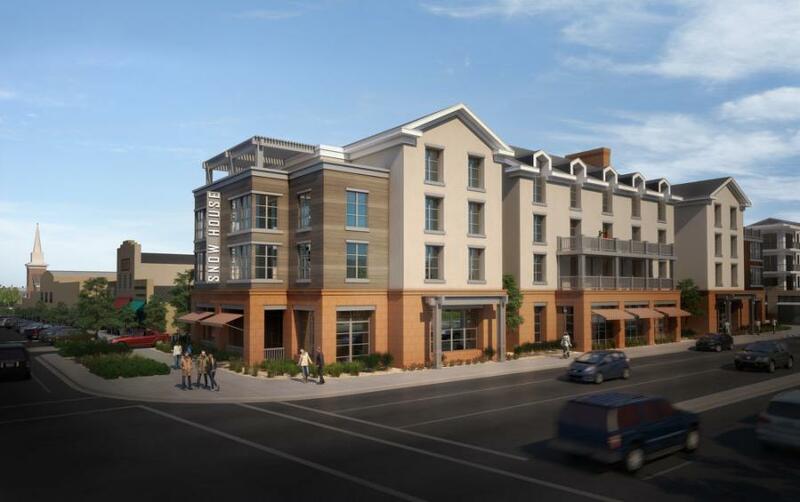 Designed to rejuvenate St. George, Utah's downtown area, City View is finally becoming a reality. 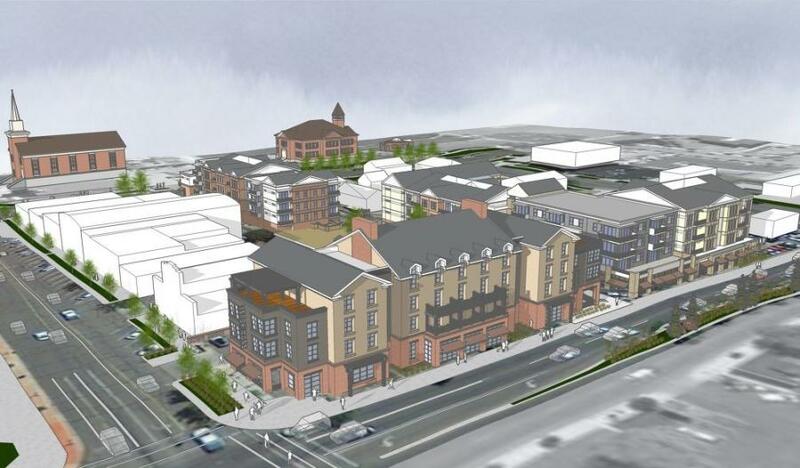 After years of planning and discussions, construction has begun on the $40 million mixed-use project. 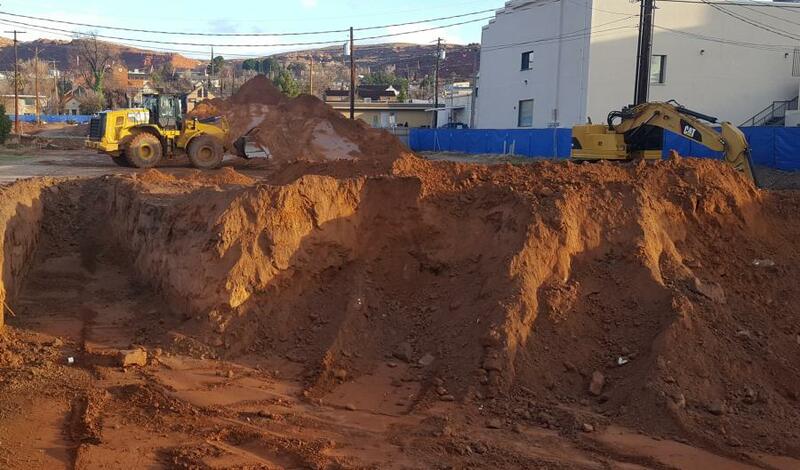 In December 2017, developers and city of St. George officials appeared at a ceremony to mark the start of construction on the large-scale investment. Hansen acknowledged that the road to actual construction has been rocky. “We've been working on this project for [more than] four years now, and rising construction costs have been a major concern. We took a design-assist approach and were still not able to get the project to pencil in the increasing cost environment. It took some creative suggestions from Wasatch Commercial Builders and some significant redesign to maintain the feasibility of the project. The city offered special tax incentives that reinvest monies generated by downtown businesses in improving the area's infrastructure. The apartments were designed to attract both millennials and older individuals, and will feature 110 units, a mix of studio, one-, two- and three-bedroom apartments. “In our experience, and similarly across the nation, there are segments of the young professional and empty-nester populations that want to live in a vibrant downtown location. Although St. George is a relatively small city, it does have a charming historic downtown that's the most walkable neighborhood in the community. People will enjoy easy access to shops, restaurants, employment and cultural attractions. The planned hotel is another key feature. Hansen noted that each of the three major buildings could be considered its own phase, but developers intend to build them all as one project. Judd Messenger, estimator for general contractor Wasatch Commercial Builders, said challenges on the project include a very tight site, with no room to stage materials, equipment, cranes, temporary facilities, etc. 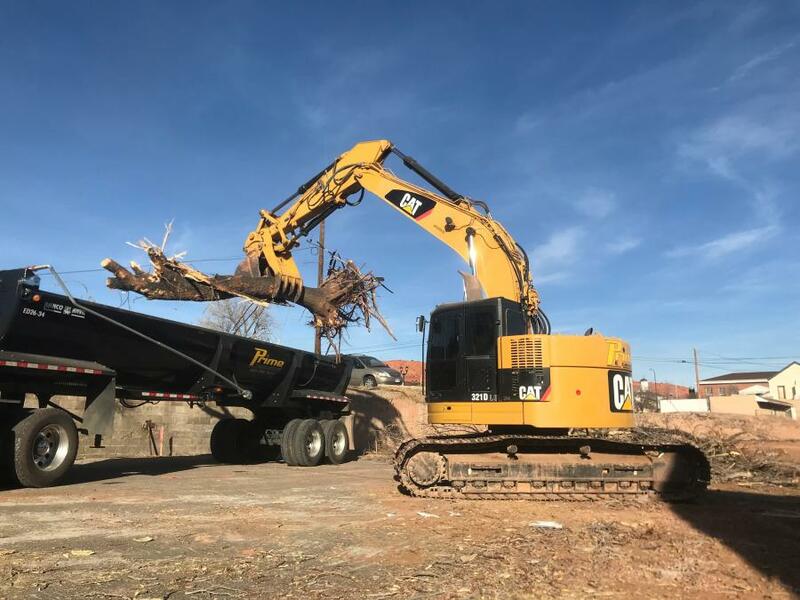 “This requires all the contractors to utilize 'just-on-time deliveries' so that all materials are taken from the trucks and installed immediately. To complicate this, there are three separate buildings to coordinate separate schedules. Currently, the overhead lines are being relocated and the remaining demolition of existing pavement, retaining walls and power poles is under way. The mass dirt work is just now getting under way. Crews also are preparing to construct the parking structure. “Once the shop drawings and engineering for the precast concrete elements are designed and approved, the precast elements will be manufactured near Salt Lake City. 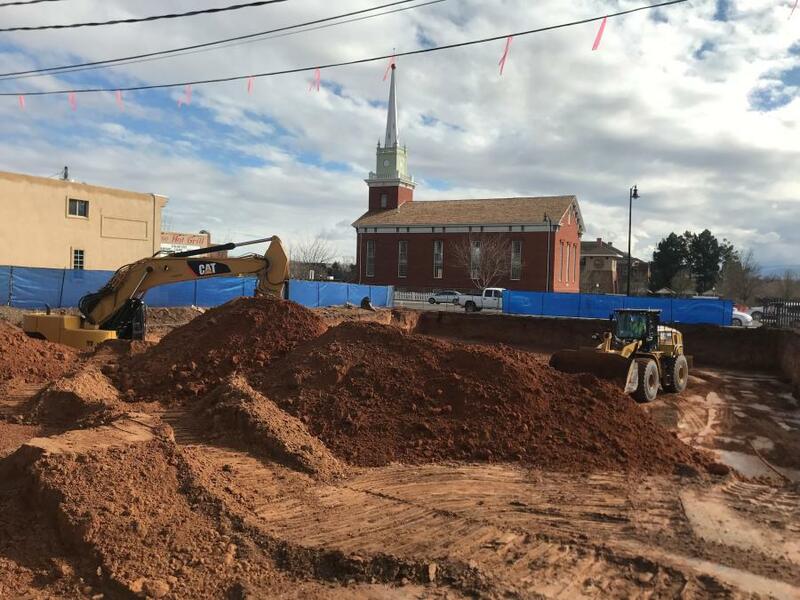 Prior to construction, there were a few old buildings, pavement and retaining walls that needed to be torn down, before crews could move forward on the actual building process. “Since the location is right at the center of town, it has been quite a history of property use and ownership,” said Messenger. “The city of St. George is involved and concerned about how this property is developed. 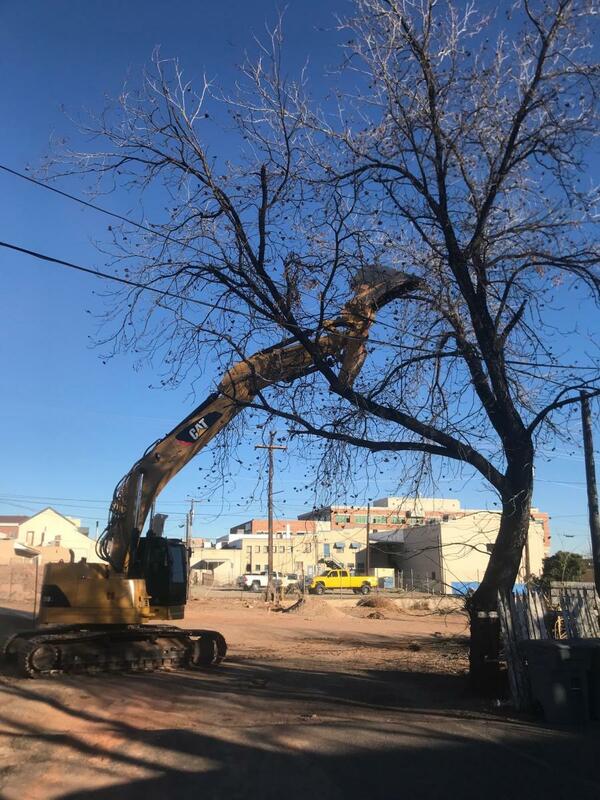 In fact, the landscaping and most site improvements are intended to be open to the public and maintained by the city as an extension of their park directly south of this project. Crews will make adjustments, as needed. The changes require extra steps, which take extra time. The new design includes enough parking for both apartment buildings and the hotel in one above-ground, pre-cast concrete parking structure that's wrapped by apartments and some retail space. This reduced the amount of excavation work and accelerated the schedule. Roughly 25,000 cu. yds. of material will be moved on the project. Most of the equipment will include track-excavators, bull dozers, vibratory compactors and front-end loaders. Materials being used include imported stone structural fill, cast-in-place concrete foundations, structural pre-cast concrete parking structure, wood framed retail and apartment units, real stone veneers, brick veneers, composite cement siding, EIFS plaster exteriors, flat membrane and pitched tile roofing, vinyl windows in the apartments, storefront glass in the retail space, high performance vinyl flooring and carpet, wood cabinets and stone counter tops. According to Justin Heppler, AIA, project principal, ajc architects, the project has been a team effort. 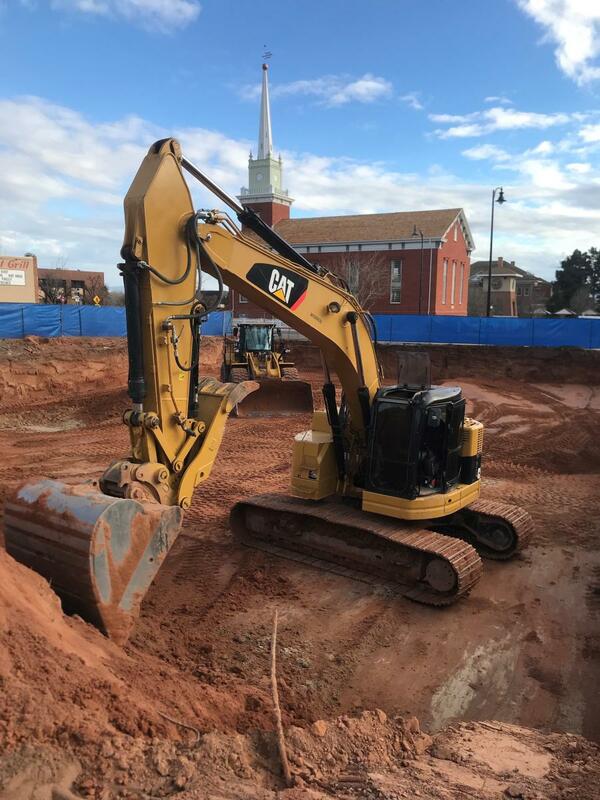 “PEG Development and ajc architects have been working in coordination with the city of St. George on what has been referred to as the largest downtown core development in St. George's history. 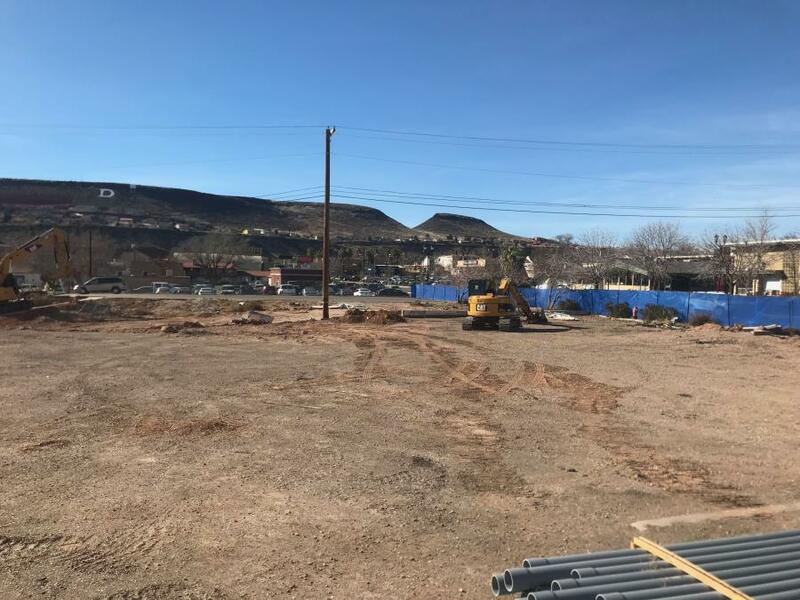 The City View development represents a flagship project located in the core historic district of St. George and is intended to set the tone for all future development in the area. Project stakeholders placed a particular emphasis on the boutique hotel, which will gently reference a historic hotel which once sat on the adjacent corner. Heppler said the goal was to create a unique user-oriented experience. Situated at the corner of St. George Boulevard and Main Street, City View will make the most of its location, taking advantage of both vehicular and pedestrian traffic. As for the biggest challenges, said Heppler, “PEG and the design team needed to formulate a strategy to redesign the approach to the parking structure to bring the project back within an acceptable budget. In addition, ajc was required to comply with the historic and cultural look and feel of downtown St. George. Our team worked closely with PEG Development and the historic preservation committee of St. George to ensure the structures would appropriately reference historic vernacular details, while also being modern in form and function. Heppler said the development was created to provide an activity hub that complements both Main Street and the existing downtown retail and commercial elements.